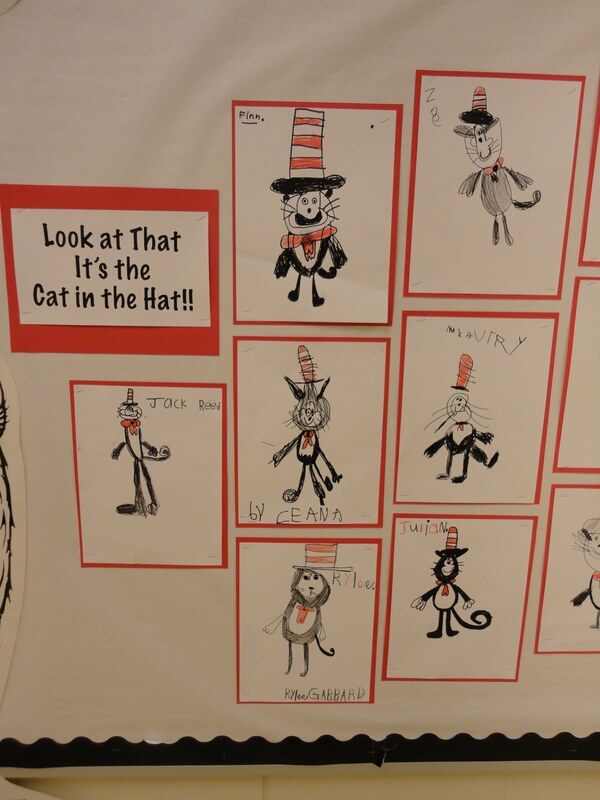 We started our obSEUSSion with Seuss with a Cat in the Hat Day. 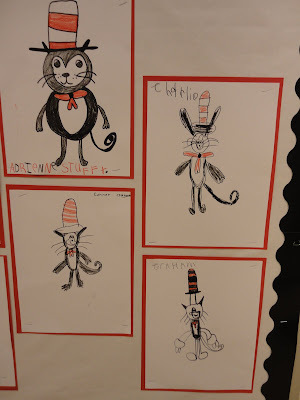 We wore our favorite hats to school and drew the Cat in the Hat. 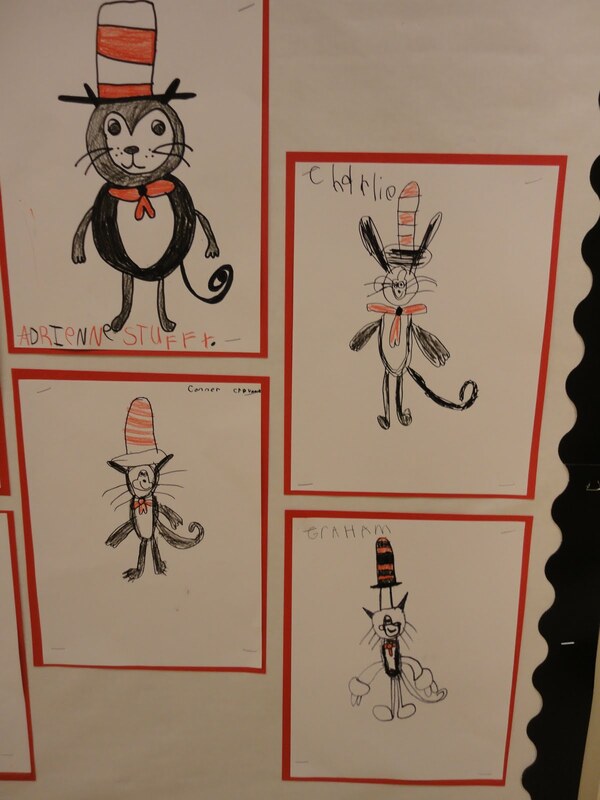 The inspiration for our drawings came from Mr. Kindergarten. Thanks for the nod, and the link to Mr. Kindergarten. 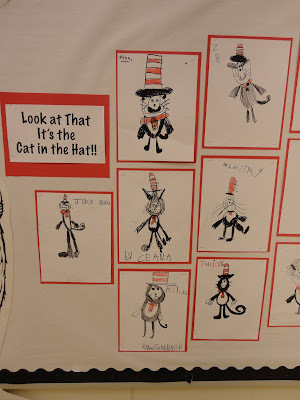 Your kids did a great job (they must have a great teacher!) 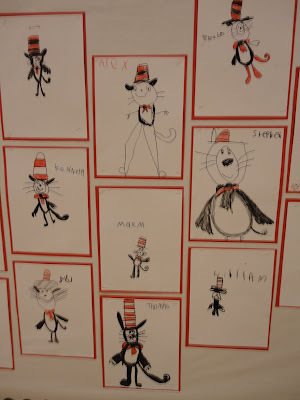 in drawing the Cat in the Hat. OH my word. 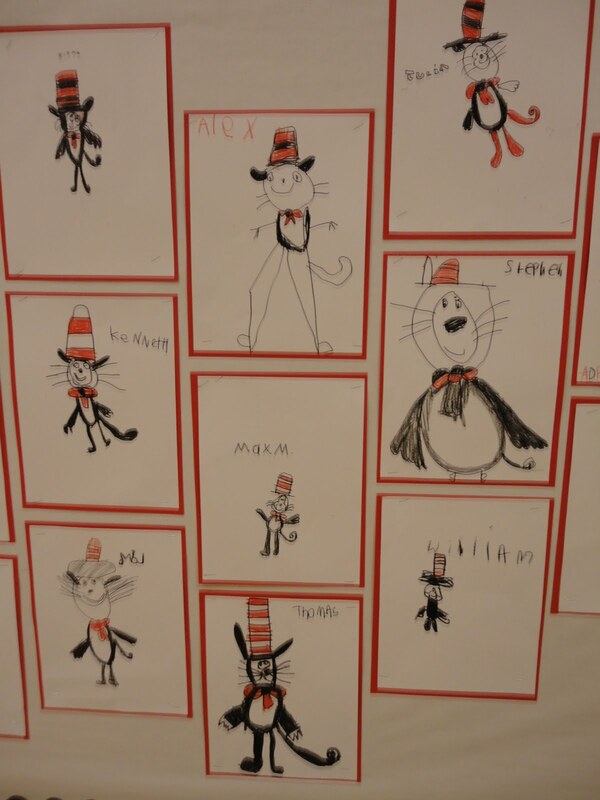 Those self drawn Cat in the Hat pics have got to be the dang cutest things I think I've ever seen!!! Bookmarking this for next year!!! LOVE! !